Oh no, I hadn't... you bet wrong! 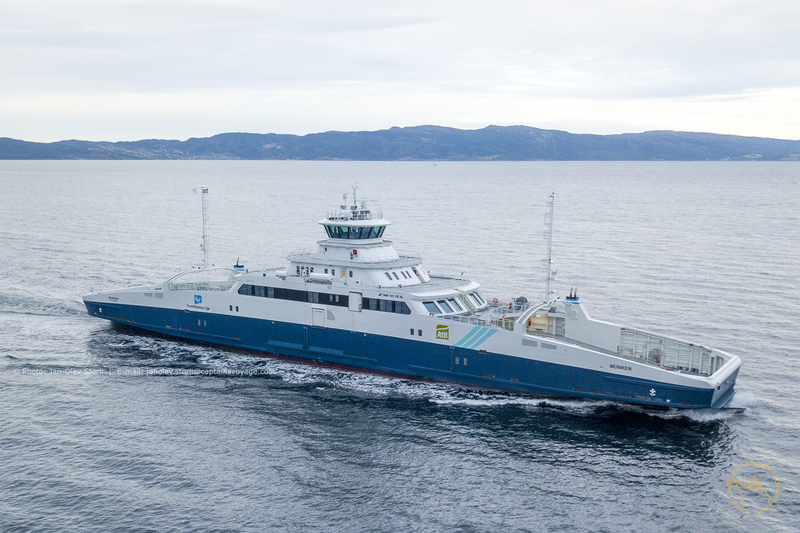 Thank you for beginning this new thread of this new era for the ferries with such an impressive and comprehensive documentation. I noticed on MarineTraffic that Lagatun was out on sea trials yesterday. I was there. But not in command in any way, the ship still officially belongs to "Fiskerstrand Yard" and they have their own people in charge. I was just looking around, observing and finding my way around on board. She is due to sail for Trondheim really soon. Well.... typed a bit fast there, the yard at Fiskerstrand, not Fiskerstrand Yard. 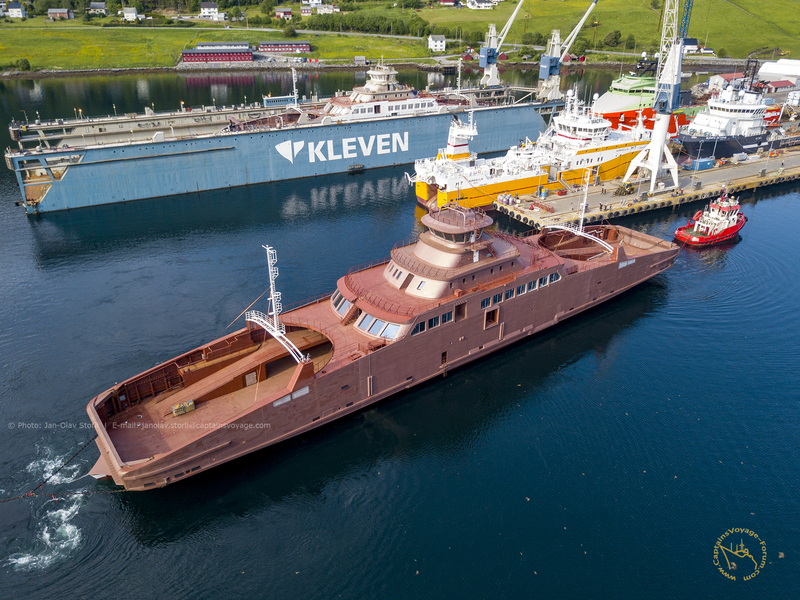 As far as I know the Lagatun is under outfitting at Myklebust shipyard in Gursken. 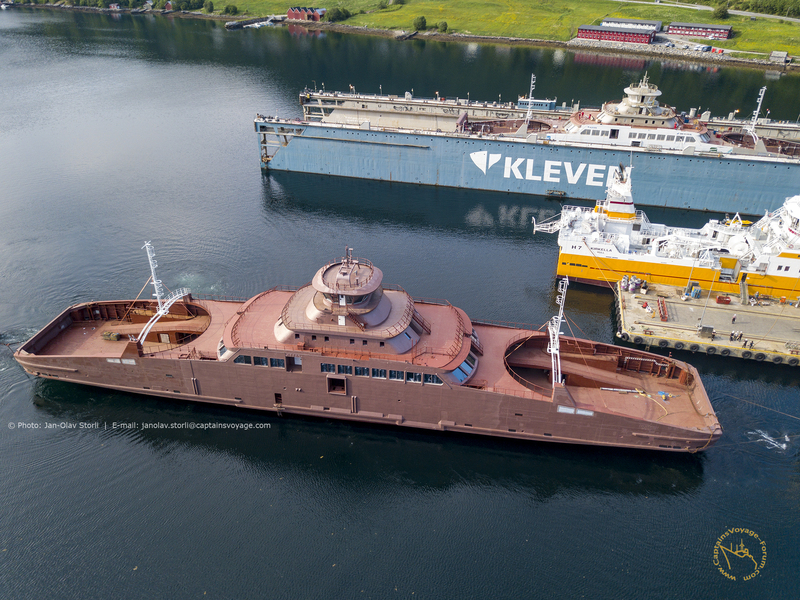 BTW; The Korsfjord is now in dock at Fiskerstand yard, after spending a couple of days at Holsfita awaiting her turn. HAHAHAHA.... I'm laughing at myself. Apparently, this is too much information for me. 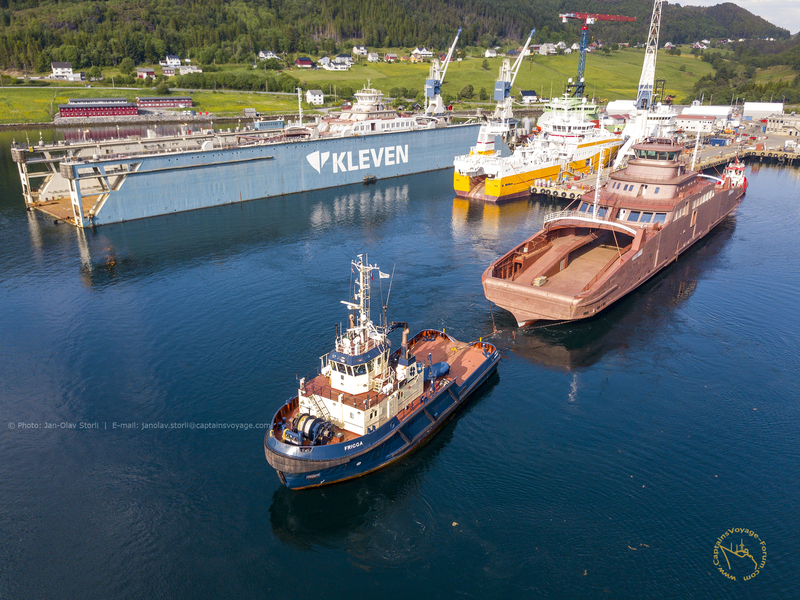 Korsfjord is at Fiskerstrand, and as you say, Lagatun is OFF COURSE at Myklebust Kleven at Gursken. My mistake - and I couldn't even pick up on it. 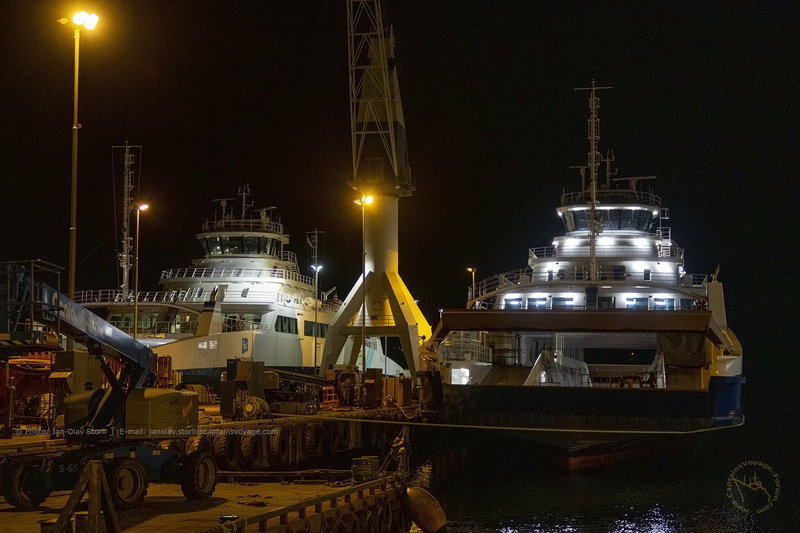 For your enjoyment, here is an image at the end of a day of sea trials.... Lagatun is due to depart for Trondheim really soon, and Munken are some weeks behind. Left side is Lagatun and right side is Munken. 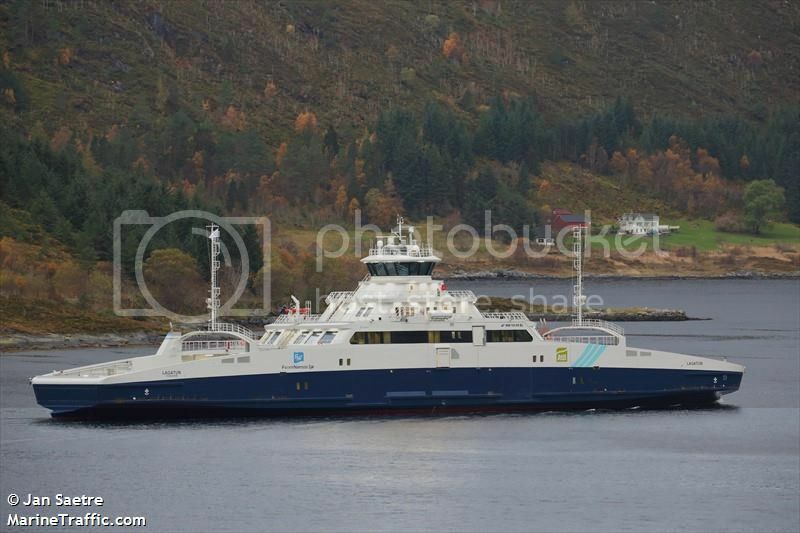 Indeed - her first day of sea trials. Lagatun should be just about ready to head northwards I would suppose. 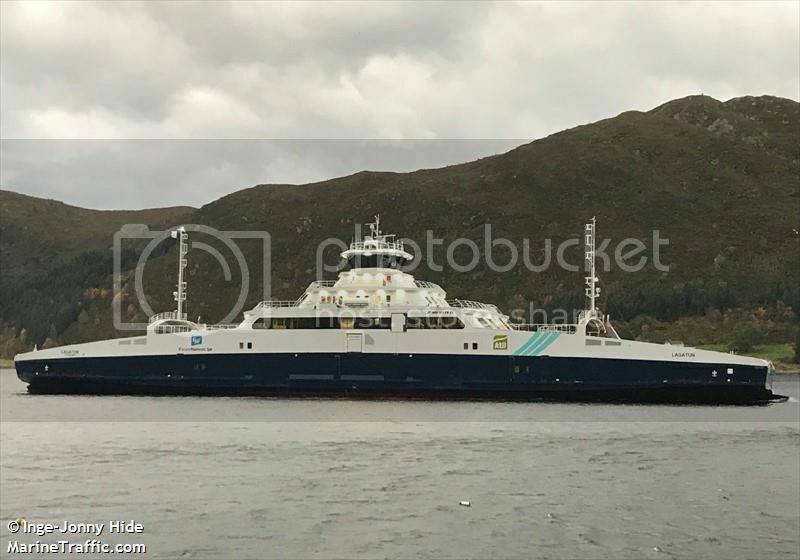 Apparently, "Lagatun" was handed over to their owners today, November 29th 2018, at 14:45 hours. 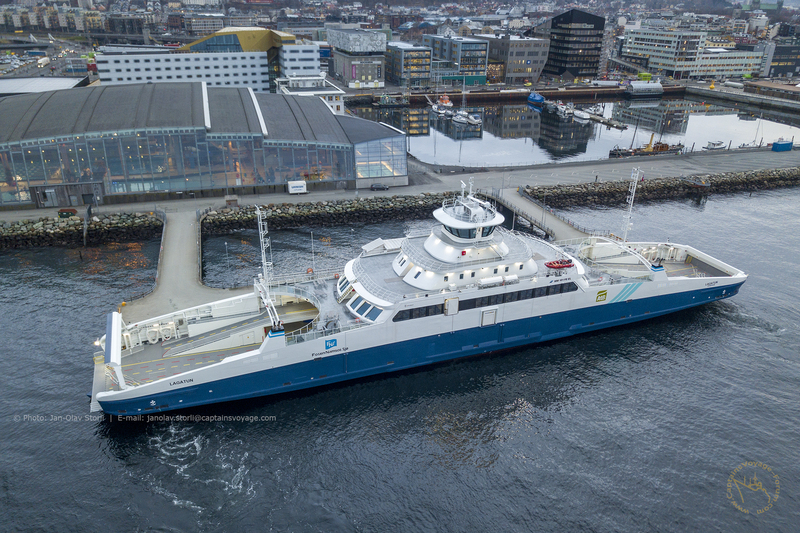 "Lagatun" is now a vessel of Fosen Namsos Sjø. 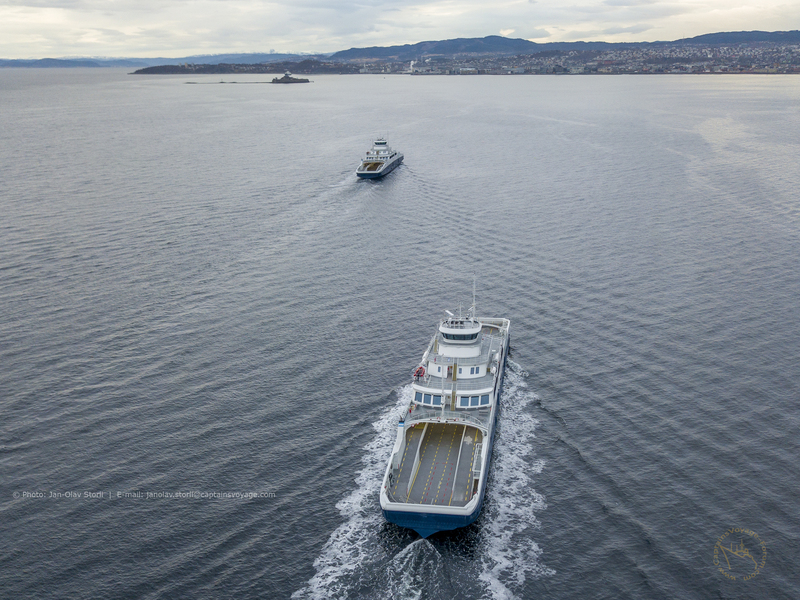 Yesterday, on December 2nd 2018, both ferries arrived at Trondheim for their maiden arrival. They departed from Gursken on December 1st at around 22:00 hours and arrived yesterday, at around 1 in the afternoon. They had sailed together for the entire journey up. Here are some images of the historical day - some more may follow in the near future if it is wanted. And some splendid photography too. Dear Captain, what marvellous images. But the last one is especially wonderful ...Lagatun and Hansteen together! ...and thanks to your c-gull wings! The same motifs in sunny weather, and that would be perfect for the new image brochure of your company! Tommi, Lady C, and Ralf... thank you so very much for sharing your compliments. That actually means a lot to me. These days, I'm undergoing shipboard familiarisation on the new vessels. Even though I'm currently assigned to LAGATUN, there will no longer be "my own ship". Those days are gone. I'm being checked out on both vessels and will take command on both as situation dictates. I will however be assigned to Lagatun for the most part. These are extremely complicated vessels with absolutely all the latest technology available. There are a lot of computers and screens to monitor, and as I see it now, the working days will be very different. Also, the time of nonchalant visits to crew areas by any sort of guests (bus drivers etc.) are all over: everything is kept behind locked and coded doors with a strict crew only access. 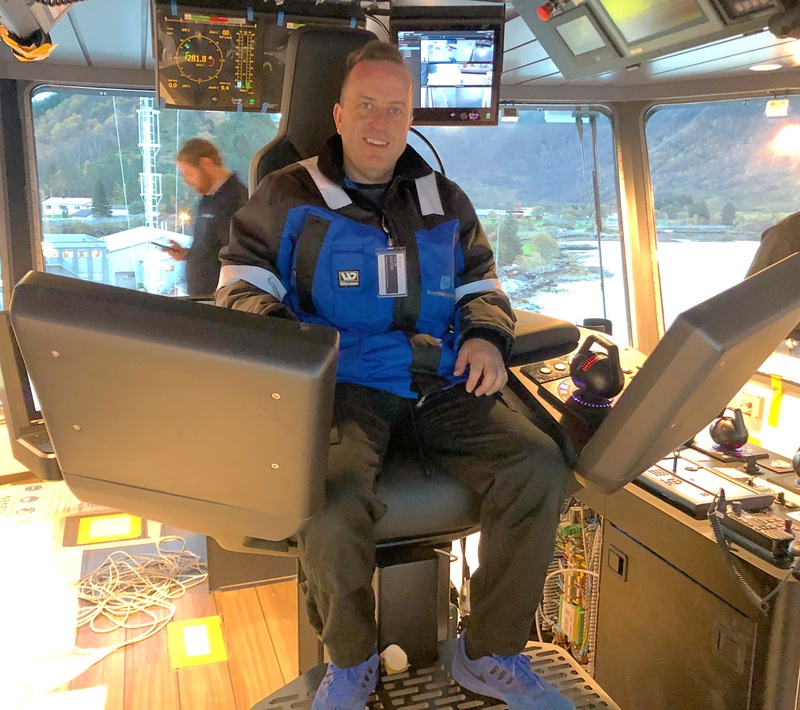 Captain will be on the bridge during the entire work day. New times, new company, new requirements. It will be extremely exciting to get started. I am sure, there will come days, when they will handle these rules less strict. But i can understand that in the beginning with so much new technology they are extremely nervous. Nobody may notice any wrong things. And the responsible person must be omnipresent. 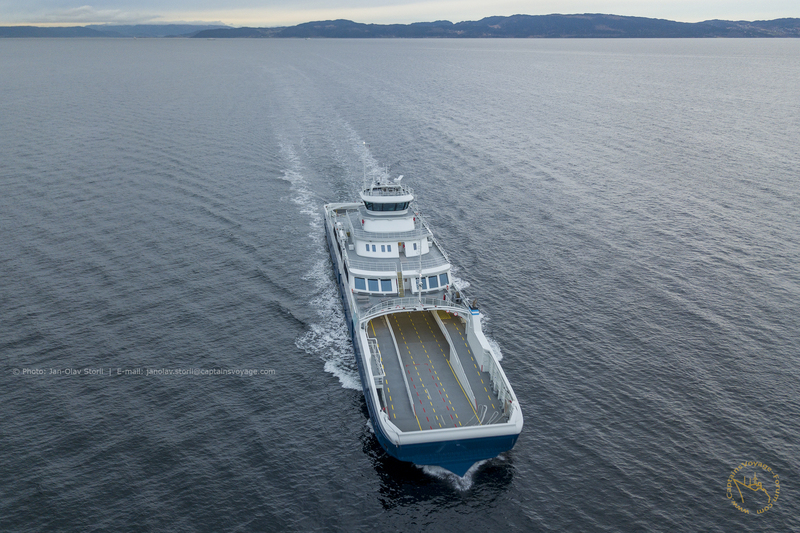 Nice to see those photos, specially the "formation" sailing towards Trondheim. 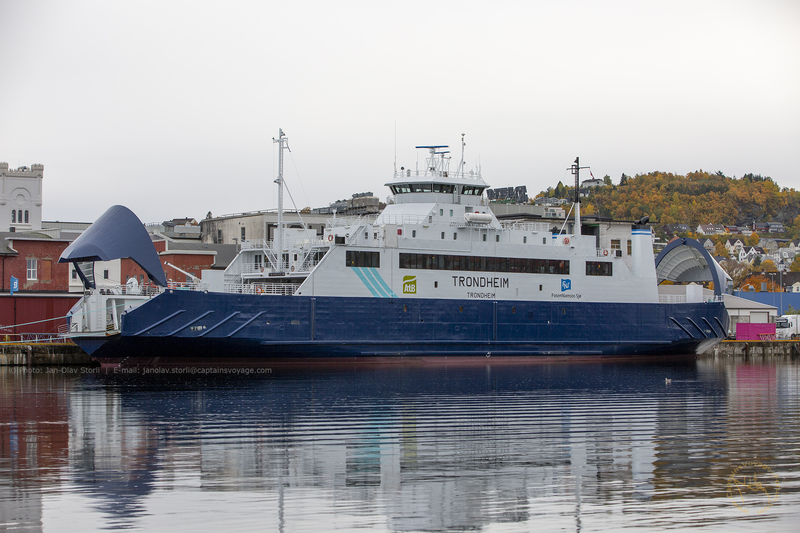 LAGATUN is a strong ferry name in Norway, and the first ferry with that name were built at Storvik Mek. ship yard here in Kristiansund back in 1964. Before that, Storvik Mek. also built a passenger boat with the name of LAGATUN in 1914. Congratulations on your new command!